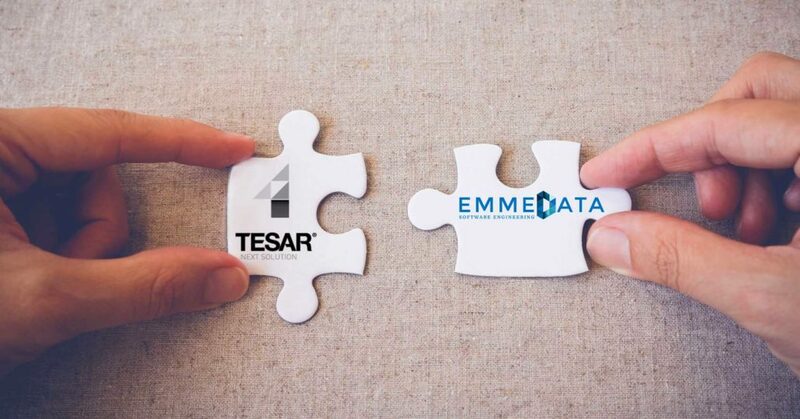 In December 2017 Tesar® and Emmedata signed a partnership which will allow all companies in the fashion sector and the entire chain which characterises it, to achieve a unique and integrated management software solution offer, also for the digitalisation of business processes. Tesar®, for over 25 years, has been the partner of reference for the supply and distribution of data collection systems, planning, control and production management, as well as industry quality. Tesar® offers a wide range of scalable and modular solutions, developed to meet the needs of the different sectors and different company dimensions, and can be integrated with all management systems on the market. Emmedata is a company specialised in management software for the fashion and footwear sector, which has been working for over 30 years with the biggest fashion brands such as Tod’s, Santoni, Ermenegildo Zegna, Luois Vuitton, Baldinini etc. ERP Emmedata was born and developed precisely to meet the needs of this type of company. It is thanks to their contribution that it continues to grow. These modules are designed for companies which want to structure and define their own production cycles, improve the interpretation of data and increase management control, in order to be able, at any moment, to make rapid and mindful decisions. Thanks to this synergy between Tesar® and Emmedata, all companies in the fashion industry who are searching for an accomplished software will have a truly integrated product at their disposal, in order to manage all processes in the sector, from production cycle control to post-sales. A significant advantage for companies which are looking to improve their organization and business management. footwear, leather goods and tanning industries.